Cardiff and Vale University Health Board (UHB) is pleased to announce it will be working in partnership with Wales Community Rehabilitation Company (CRC) on a project that will not only help reduce waste but also save the NHS valuable money. 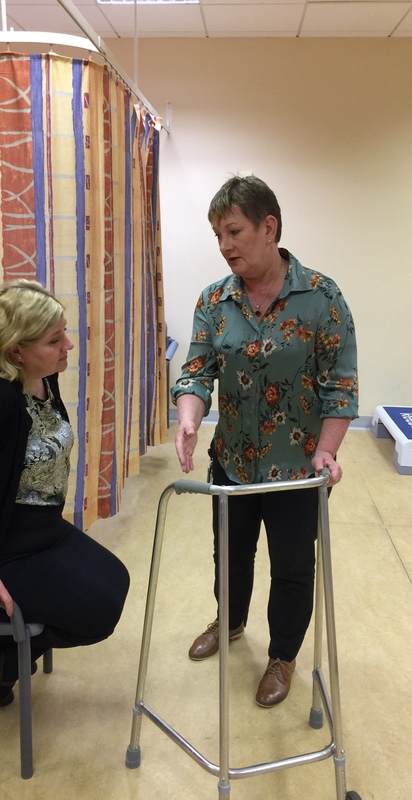 For the past ten years, staff from the Physiotherapy Department at Cardiff and Vale UHB have been recycling and re-issuing walking aids in a bid to reduce waste and better invest NHS money. As the population ages and there are more people requiring walking aids following surgery, or because they have a long term condition such as arthritis, the demand for walking aids is increasing. 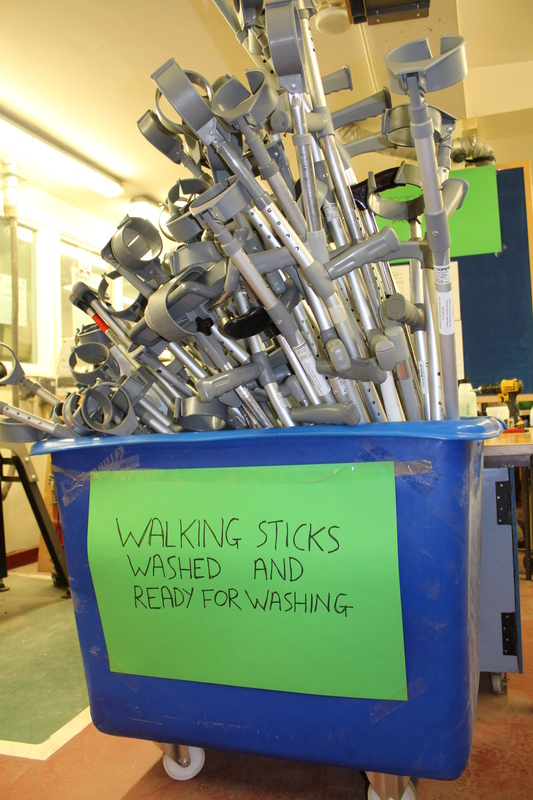 Walking aids can be reused after they have been refurbished but many are not returned. The Physiotherapy Department faced two challenges: the first was how to get more people to return equipment, and the second was how to increase the capacity to refurbish them without impacting on patient care. An amnesty showed that if patients knew how and where to return equipment they would. The capacity challenge was a much bigger issue and that is where the CRC helped to provide a solution. Wales CRC’s Community Payback Service provides a tough, effective and visible punishment and deterrent, requiring people to undertake challenging work while giving some tangible value back to communities that suffer as a result of crime. The Community Payback team will be assisting the Health Board in refurbishing walking aids, meaning that more walking aids can be recycled for reuse. This not only means that patients receive their walking aids in a timely way, but also that money can be diverted back into the NHS to improve patient care. This also helps us, as a community, create a sustainable future through improving the organisation’s environmental footprint. Currently the Health Board issues over 10,000 walking aids a year. Of these, only one in three is returned, and one in four is refurbished and re-issued to someone else, saving nearly £20,000 per year. Sue Rees, Deputy Head of Physiotherapy Services at Cardiff and Vale UHB said: “The Physiotherapy Service works tirelessly to achieve the best value for money for the funding they receive. “By working together with the Wales CRC’s Community Payback service to facilitate the refurbishment of walking aids, and by providing equipment that meets patient needs in a timely manner, it means that we are able to save money, reduce waiting times for equipment loans and reduce our impact on the environment by working towards a zero waste policy. In other words it makes a real difference to individuals and to their and all our futures. Lacey Meredith, Community Payback Manager at Wales CRC, said: “We are delighted to expand our partnership with Cardiff and Vale UHB. This partnership is a great example of the work we do in the community to help reduce re-offending, while giving people opportunities to turn what could be a negative experience into something positive by providing them with new skills that could lead to more stable, crime free lives.